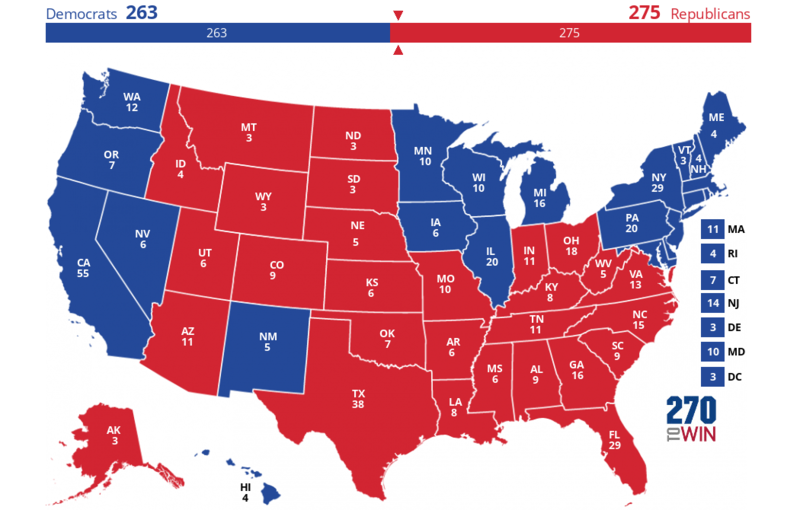 It's pretty apparent that the media doesn't know how to cover the 2016 Presidential Election, so here's a little public service announcement: it's closer than you think. I think I've made my own no-fan-of-Trump views clear, but that aside, I am dumbfounded that the mainstream media (who supposedly are anti-Trump) continue to laugh off his candidacy despite his continually proving them wrong. I don't think this is intentional or the result of some bias on their part: I think it's that they literally have no idea how to make sense of the Trump phenomenon because it is so unprecedented. I'm not saying Trump is going to win. I am saying, though, that there are completely plausible, realistic scenarios in which he does. From the beginning of his candidacy, in fact, I've been saying that he was the only one in the Republican field who had a shot of beating Hillary due to his ability to mobilize non-traditional Republican voters (sorry John Kasich). Don't believe me? Try playing around with 538's tool and see how easy it is to flip the map based on the assumption that Trump mobilizes non-college educated white voters who break his way. He holds all the red states that Romney took in 2012. I think this is quite plausible. The only competitive red state in 2012 was North Carolina, where Obama lost by just 3% of the popular vote. In every other red state, Romney won by at least 8% (GA) and 10% or more everywhere else. He flips Florida, Ohio and Virginia (or, less plausibly, two of those plus PA), which all went to Obama narrowly in 2012. I think this is possible if Trump focuses on mobilizing his base in those states since the latest polling shows a dead heat in OH, PA and FL. All four of those states were decided by 5% or less of the popular vote in 2012. He also flips at least one of CO and NV. Both of these were decided by 6% or less of the popular vote in 2012, but it’s interesting given the Hispanic population in both states, who I understand are not Trump's biggest fans.